Interested in serving South Central Power Company? 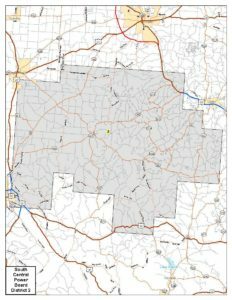 To be eligible to serve, you must be a South Central Power Company member in good standing currently residing within the district for which you would like to serve (see maps for boundaries). 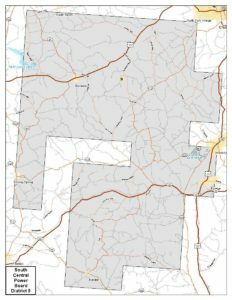 District 2 encompasses areas of central Ohio east of U.S. Route 23, north of U.S. Route 50 and west of U.S. Route 33, including parts of Fairfield, Hocking, Pickaway, Ross and Vinton counties. 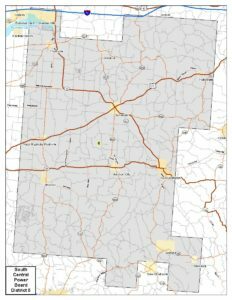 It includes the communities of Allensville, Chillicothe, Gibisonville, Hallsville, Kingston, Laurelville, Rockbridge, South Bloomingville and Tarlton. District 6 encompasses areas of central Ohio east of Lancaster, south of Zanesville and I-70, and north of U.S. Route 33, including parts of Perry, Fairfield, Licking and Muskingum counties. It includes the communities of Bremen, Buckeye Lake, Fultonham, Junction City, New Lexington, Rushville, Shawnee, Somerset and Thornville. District 9 encompasses areas of southeastern Ohio south of Chillicothe, and west of Waverly, including parts of Highland, Pike, Ross and Scioto counties. It includes the communities of Bainbridge, Bourneville, Idaho, Piketon, Rarden, Sinking Spring and Waverly. You must also agree to attend and participate in regular board meetings and attend to other board duties as required. Trustees cannot be employees or close relatives of employees, and must have met this criteria during the last three years. You must also have been a member for at least one year, have a clean criminal history during the last five years and cannot have filed for bankruptcy during the same period. Additional restrictions may apply as outlined in our Code of Regulations. To express interest in serving on our board, please complete the Disclosure and Biography Form by May 1, 2019. This Disclosure and Biography Form (this “Form”) is to be completed by each candidate applying to serve on the Board of Trustees (the “Board”) of South Central Power Company (the “Cooperative”), including each incumbent Trustee. The purposes of this Form are to (i) determine whether a candidate satisfies the eligibility standards under the Cooperative’s Code of Regulations to serve, or to continue to serve, as a Trustee of the Cooperative, and (ii) provide information regarding a candidate’s background, qualifications and experience. Please respond to every question in this Form. All information should be provided as of the date you complete this Form. Additional information may be provided on the last page of this Form marked “Supplemental Information.” If, after you return this Form, any of your responses or information changes as a result of a material change in your circumstances, please report such changes to Tami Ball, Executive Assistant, as soon as possible. Fill out the online submission form below, or Trustee Disclosure Biography Form. The following questions are intended to determine whether you satisfy the eligibility standards set forth in Article 3, Section 2, of the Cooperative’s Code of Regulations. If you answer “Yes” to any of the questions 3-10, please explain your answer to such question on the last page of this Form marked “Supplemental Information.” (1)| A ”business or enterprise that competes with the Cooperative” is any business or enterprise that engages in the sale of (i) electrical power or other energy sources to the public, or (ii) security protection systems and services to residential and business customers. (2)| A “Close Relative” means your spouse, father, mother, brothers, sisters and children, existing by reason of blood, marriage or adoption. I certify that the above information is accurate and complete to the best of my knowledge.